Perhaps the most anticipated trial exploring the art market in recent years began Monday in United States District Court in Manhattan with a lawyer for a couple that bought a fake Rothko asserting in her opening argument that Knoedler & Company, a once-celebrated Manhattan gallery that is now defunct, had deceived its customers while selling them dozens of fake works that it said were by master artists. Read the NYT story here. There were allegedly more than 30 forgeries sold to collectors over the years. There was even a painting with a misspelled Jackson Pollock name! Here's the dark truth about art forgeries - they've been around since Roman times (if not earlier) - the Roman forgers would copy Greek statues and soak them in urine to age them, and then sell them to wealthy Romans as "ancient" Greek pieces. And fakes will always be a part of the art world. And there are some artists (Rothko is one of them) which are magnets for fakers... there are many, many, many fake Rothkos (most of them in museums) in existence, with shaky provenances often ignored by museum curators. Other magnet artists for fakers: Wifredo Lam, Picasso, Motherwell, Pollock, Stella, Botero (see a trend here?). A couple of decades ago, I was sitting at Georgetown's iconic Fraser Gallery when a lady comes in, looks at the artwork and asks me: "Where can I buy a Rothko?" She pronounced it Raath-ko. I noticed that she has a library copy of Jeffrey Weiss' book about Rothko's work tucked under her arm. "Usually at auction," I answered. "You do know that they start in the millions." She didn't blink an eye. "I really like his pictures," she noted. I winced at the word "picture." I looked at her a little more quizzical; it was clear from her "airs" that money was not the issue. "Are you looking for an original Mark Rothko painting? 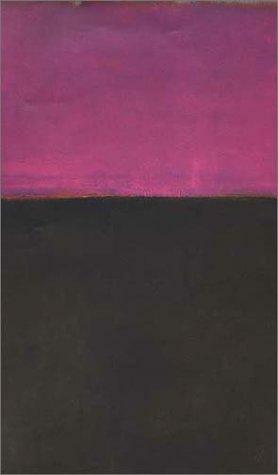 ", I started, "Or a painting that is in the style of Rothko... that looks like his work?" I was thinking that I could point her in the direction of some of the DMV's great contemporary abstract painters, as the gallery focused strictly on contemporary realism. She opened her book. "I want a painting that looks like this," she pointed to several works in rapid succession. "Do you care who the artist is?" I asked. "I don't even know who Rothko is," she noted, and I noted that she had adjusted and corrected the pronunciation of Rothko's name to match mine. "I just want a painting that looks like one of his pictures." I winced at the word "picture" once again, and then suggested that perhaps she should contact a local art school and see if they could find an art student interested in accepting a commission from her to "create" some Rothko look-alikes for her. I warned her that copying a Rothko might break some copyright laws, but producing a work that looked Rothkolian was perfectly legal, and in the art world simply called "derivative." Her eyes lit up; she thanked me profusely and left. Several months later, Madame X (that was my nickname for her, as she was the spitting image of John Singer Sargent's portrait of Virginie Amélie Avegno Gautreau at the Met in NYC), walked back into the gallery. "I wanted to thank you," she said with a smile, as she put a giftwrapped bottle of champagne on the desk. "I got a student from the Corcoran and one from Catholic University each to do some Rothkos for me." She then showed me on her digital camera some very Rothkolian images. "They are great! ", she beamed. "I have had six of them done! And they're huge! Just what I wanted!" I smiled, my brain beginning to imagine where and what questions these paintings may cause 100 years from now... considering the "provenance" from Madame X. "And my friends are all commissioning more Rothkos from them!" She finished triumphantly as she waved good bye. I unwrapped the champagne bottle - it was an Armand de Brignac “Ace of Spades” Rose. She may not have known her Rothkos, but the lady knew her champagnes.